Your skin and the appearance of it is like the dashboard of your car giving you indicator lights that something isn’t quite right. It can tell us if your body is functioning properly or if we need to look “under the hood” for what else might be going on. 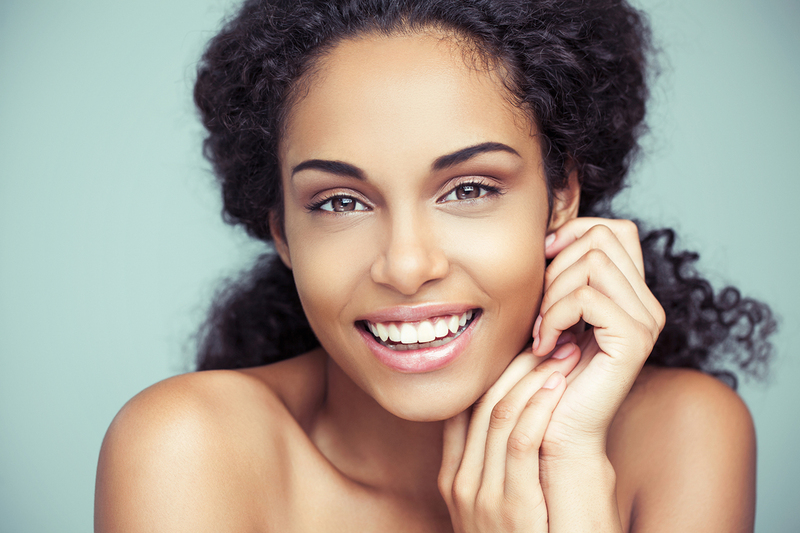 We work with you to uncover those reasons why you might be having skin issues and create a treatment plan that works for you. Acne at all ages is extremely frustrating and can affect all areas of your life. We help teens, women and men who are struggling with acne who want a natural approach to figure out WHY they have acne instead of just covering it up. Dr. Sarah Kiss, ND is our resident acne guru. Advanced aging and wrinkles can be an indicator of higher “AGEs” – advanced glycation end products – an inflammatory, damaging process to the skin and body. Dull, dry skin can tell us about hydration and circulation. Dr. Ashley Nelson, ND loves using a variety of topical and internal natural skin care options and treatments to improve the look and feel of your skin. 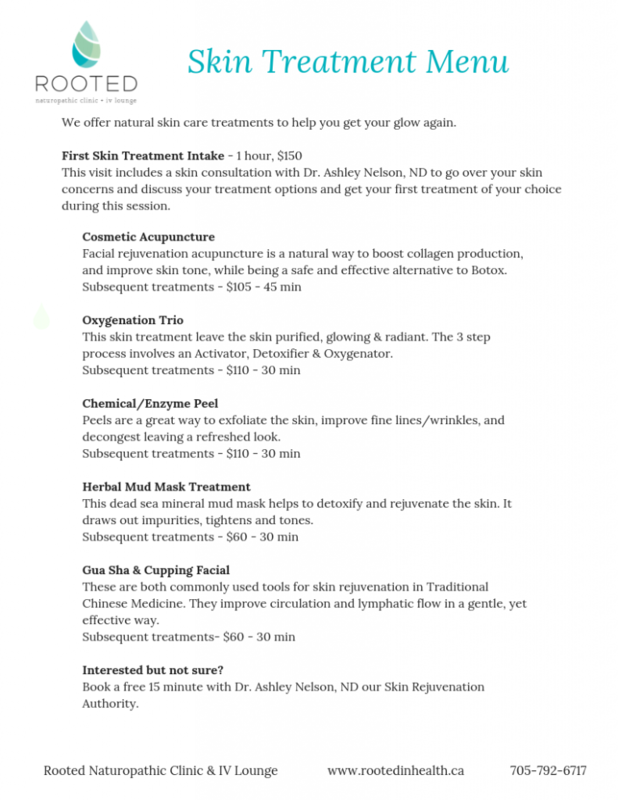 See below for our skin treatment menu. Book a free meet the doctor session with Dr. Ashley Nelson, ND or Dr. Sarah Kiss, ND to learn more about how she can help.